Born on 24 October 1963 in Požarevac. Graduated from the Faculty of Medicine at the University of Belgrade in 1989 with the GPA 9.14. He obtained his Master’s and doctoral degrees at the Faculty of Medicine in Belgrade. He is a professor at the Faculty of Medicine at the Surgery Department – Paediatric Surgery and Urology. He has been emoployed at the University Children’s Hospital since 1991 where he was working as a paediatric surgeon, and as of 1998, he has been working at the Urology Ward after obtaining a subspecialty in urology. In the period from March 2013 – June 2018, he was holding the position of a General Manager of the University Children’s Hospital seated in Tiršova St. in Belgrade. 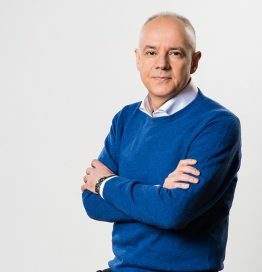 In June 2018, he was appointed for the Mayor of Belgrade. He obtained his professional development in the home country but also abroad. The most significant hospitals where Prof. dr Zoran Radojičić obtained his skills were the following: Department of Pediatric Urology, at The Babies and Children s Hospital of New York, Columbia Presbyterian Medical Center, dr Terry W. Hensle New York, USA (1997); Department of Pediatric Surgery, Schneider Children’s Hospital, Long Island Jewish Medical Center, Long Island, New York, USA (1997); Urodynamic Training Course, Professor J.C. Djurhus, Department of Pediatric Urology, Skelby Hospital, Arhus, Denmark (2003). Department of Pediatric Urology, at The Babies and Children’s Hospital of New York, Columbia Presbyterian Medical Center, dr Kenet Glasberga New York, USA (2005); Department of Pediatric Urology, Westchester Medical Center, Valhalla, NY Nyack Hospital, Nyack, Israel Franco, M.D New York, USA (2009). He is a member of the European Society for Paediatric Urology (ESPU), European Paediatric Surgical Association (EUPSA), American Academy of Pediatrics (AAP), a member of the Regulatory Committee of the Budget Fund for Treatment of Diseases, Conditions or Injuries which Cannot Be Successfully Treated in the Republic of Serbia. He was a coordinator on behalf of the Ministry of Health for paediatrics and paediatric surgery and a Chairman of the Republic Expert Commission for Paediatric Healthcare within the Ministry of Health in the period 2013 – 2018. He was holding the position of the General Manager of the University Children’s Hospital in Tiršova St. for five years, and the position of the Chairman of the Republic Expert Commission within the Ministry of Health where he made contribution in improving paediatric healthcare in the Republic of Serbia. Prof. dr Radojićić managed to improve the functioning of one of the most significant health institutions in the region together with his team, and initiated a construction project of the new children’s hospital, known as the project “Tiršova 2”.